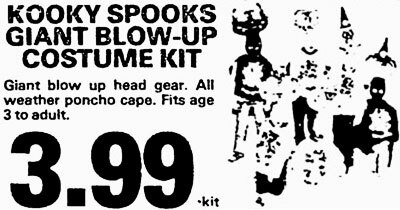 These crazy Halloween costumes were produced from 1979 and into the early 1980’s by Spearhead Industries. 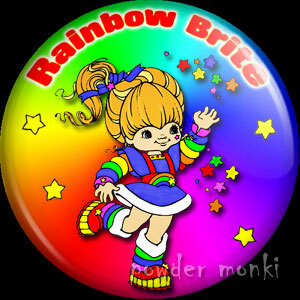 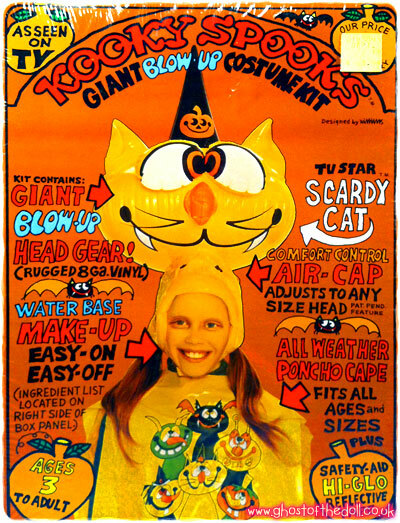 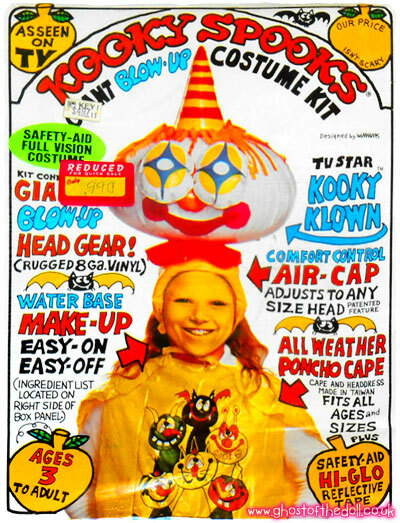 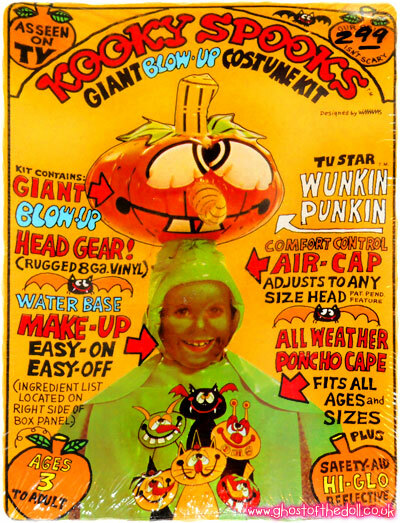 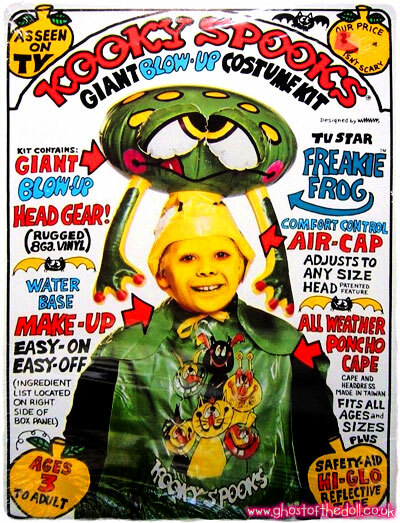 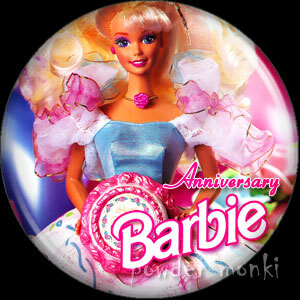 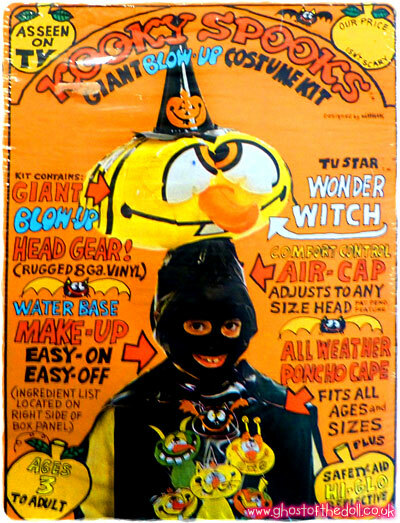 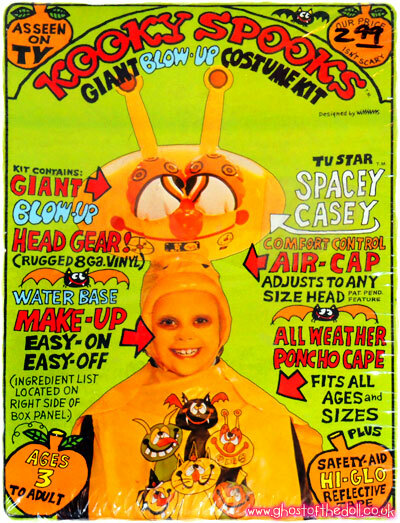 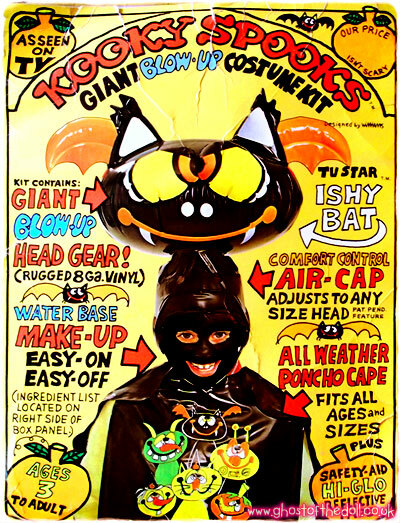 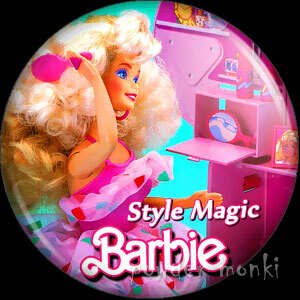 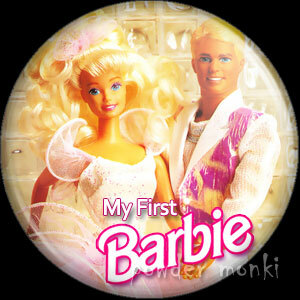 There were nine designs, and each set came with inflatable head gear, poncho-cape and makeup kit. 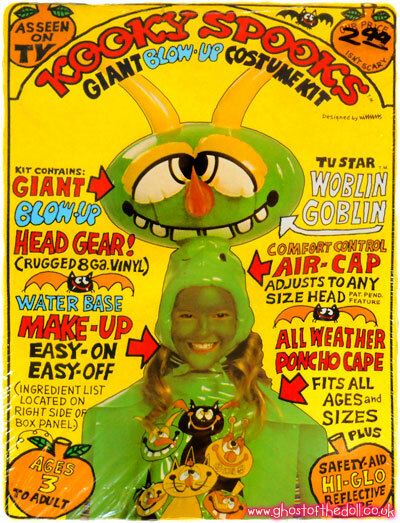 The packaging was just as crazy! 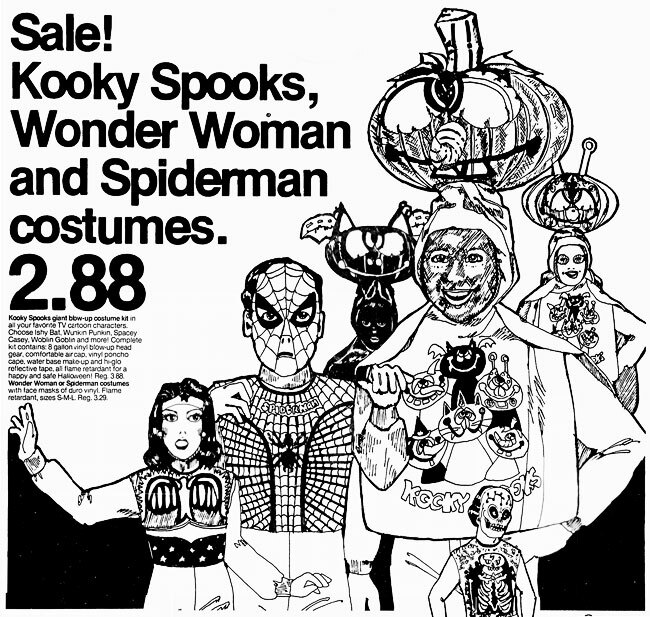 These adverts are from 1979 and 1981. 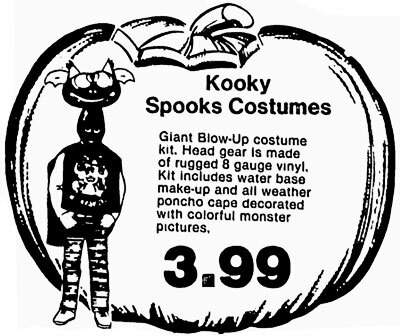 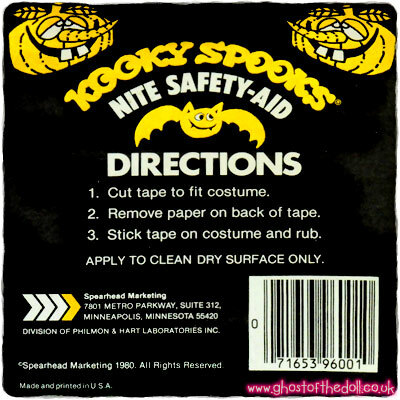 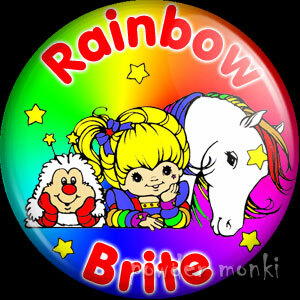 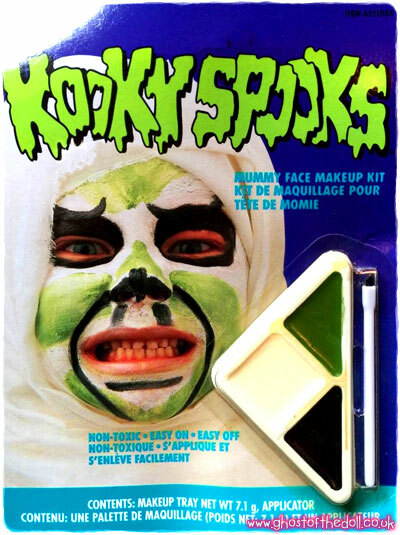 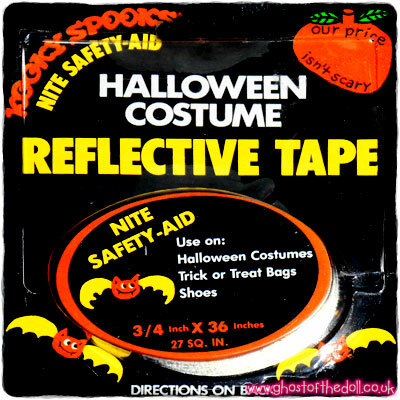 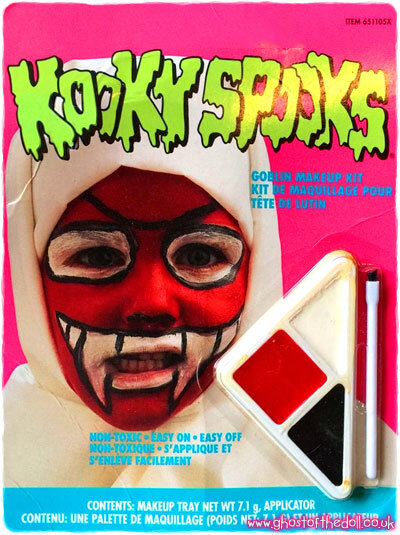 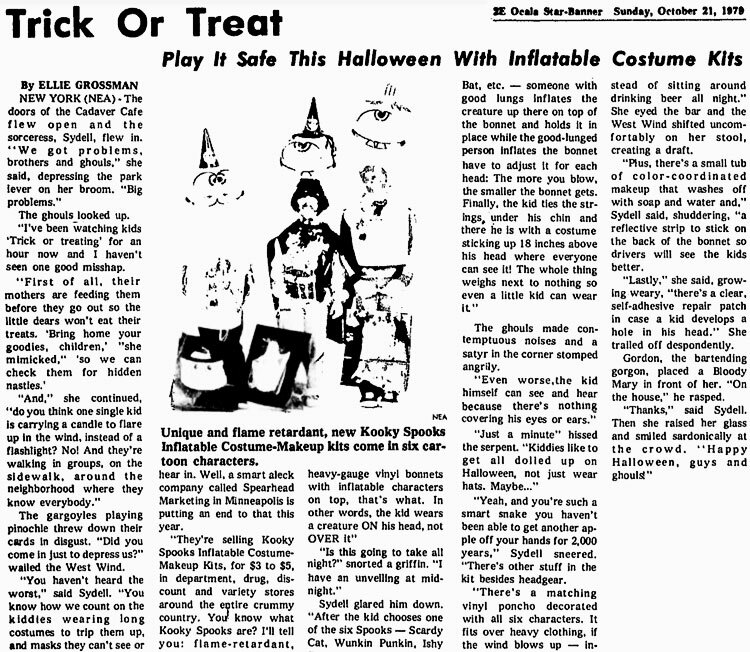 Kooky Spooks even sold their own reflective tape. 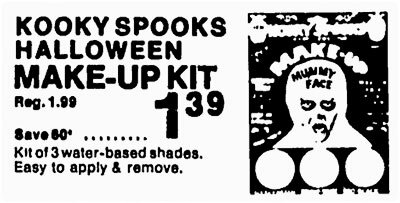 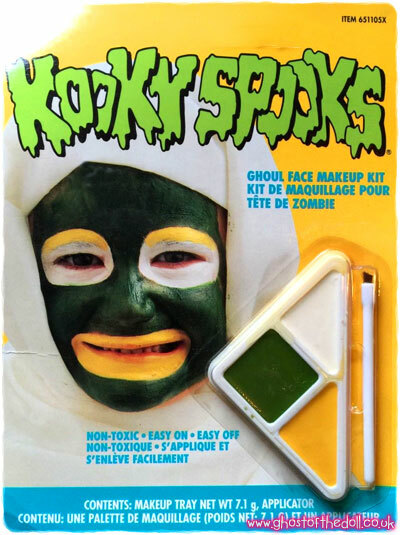 There was also separately sold makeup kits produced in the early 1980’s, which are very hard to find now. 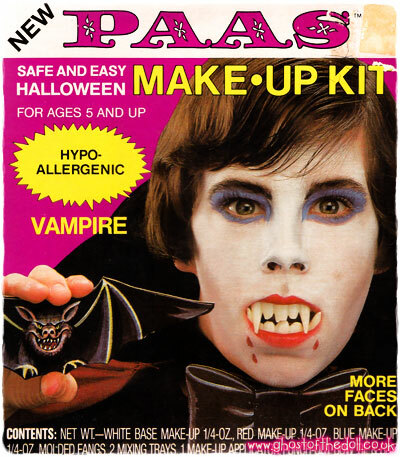 I’ve only found one packaging image, but there were six to choose from. 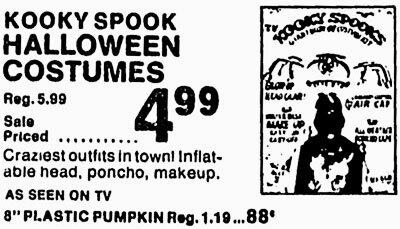 These adverts are from 1981 and 1987. 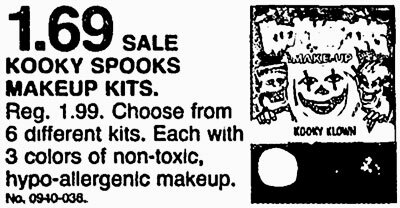 These kits were produced in 1993. 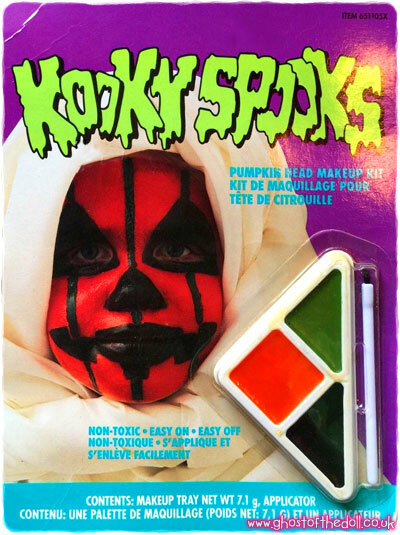 I’m not sure how many different designs were made. 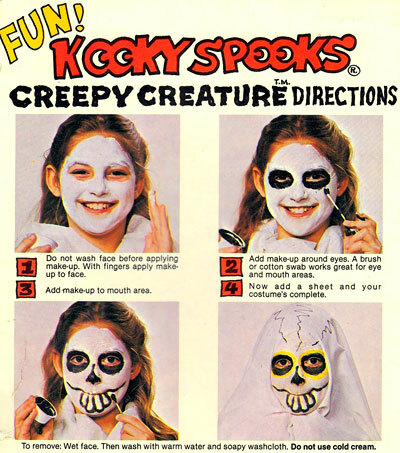 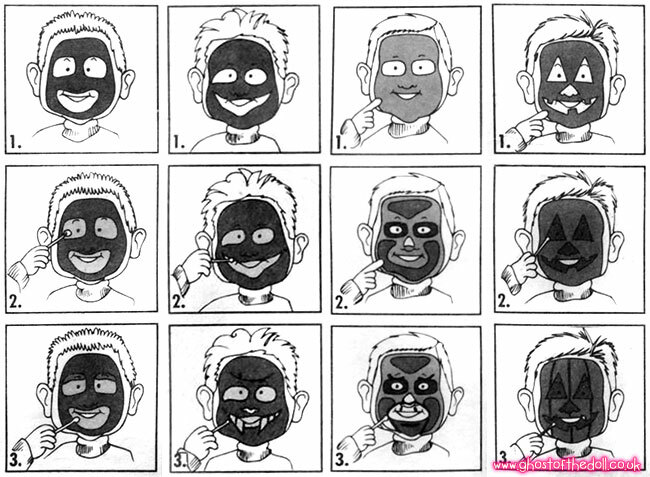 The back of the packaging had some less than helpful illustrations of how to apply the makeup. 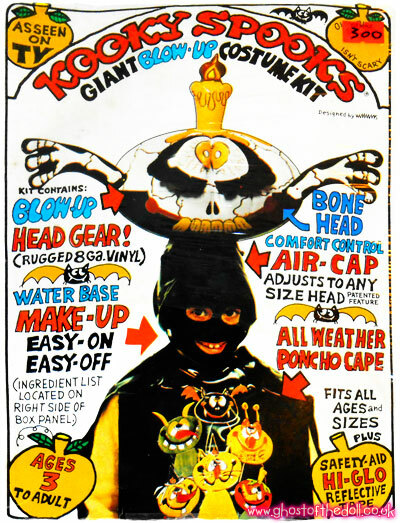 Images thanks to various eBay sellers!